Poetry, sadly, is a dying art. The closest we have to great poetry these days is autocorrect fails, which is a pretty poor substitute. 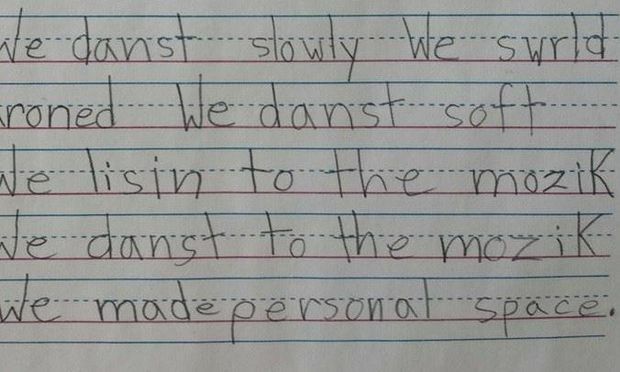 But we also have an anonymous first grader in New York City’s lower east side, whose poem happened to be photographed by a visiting photographer. That photographer, Jason Gardner, posted it to his Facebook page, and now the poem is picking up traffic, because it is some next-level Ezra Pound-type genius. We danst slowly. We swrld.